Jimmy Choo has openend their expanded and renovated New Bond Street Store. 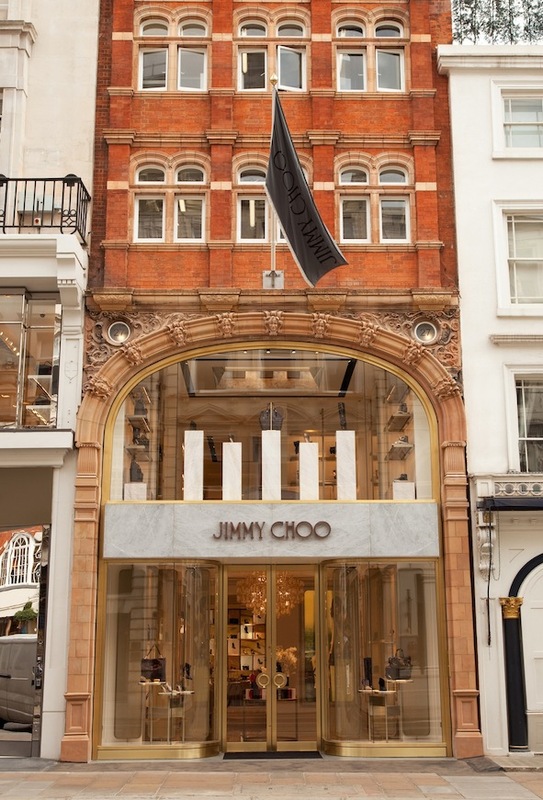 Accomodating three floors, the new store heralds the first Jimmy Choo Townhouse in the brand’s London home. The 200 squaremeter store encompasses the whole world of the Jimmy Choo woman including eyewear, sunglasses, small leather goods, soft accessories and fragrance. There is a dedicated area for the recently launched Made to Order service, offering clients a customized service across Jimmy Choo’s signature silhouettes. The VIP room – focusing on evening, bridal and red carpet styles – stands out with its own palette of materials, such as gold, mother of pearl, a large roof light, as well as a Champagne bar. To celebrate the new store, Creative Director Sandra Choi, has designed a limited edition Candy bag. 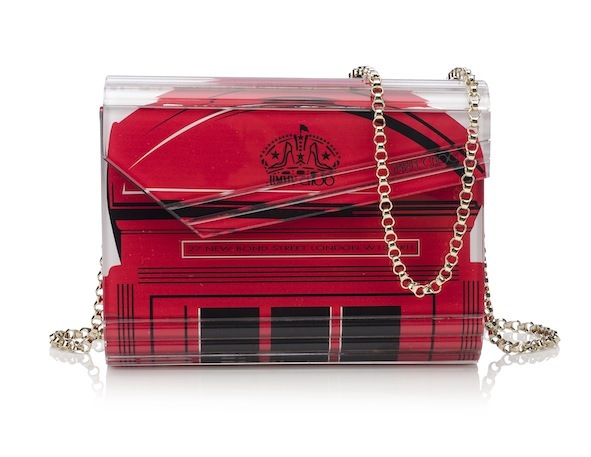 The signature party-ready acrylic clutch is printed with an image of the whimsical and quintessentially British red phone box, reinforcing the brand’s London roots.